The band recorded a Russian-language version of the song, and a Spanish version called Vientos de Cambio, also played by Medina Azahara. The lyrics celebrate the political changes in Eastern Europe at that time – such as the Polish Round Table Agreement and fall of the Berlin Wall, the increasing freedom in the communist bloc (which would soon lead to the fall of the USSR), and the clearly imminent end of the Cold War. The Scorpions were inspired to write this song on a visit to Moscow in 1989. In the first opening lines of the song they mention The Moskva, a river that runs through Moscow, and Gorky Park, an amusement park in Moscow. A drill team is a marching unit that performs military style maneuvers in parades, at air shows, football half-time shows, and other public venues. In this video you will get a little bit information about US USMC Marine Corps Silent Drill Team, also known as The Silent Drill Platoon. ... and just for a laugh: a deck chair drill team for retired guys! There was (I know) an old lady (woman) who swallowed a fly. I guess (perhaps) she'll die. How absurd! she swallow a bird! My! what a hog, to swallow a dog! She opened her throat and swallowed a goat! She swallowed the cow to catch the goat. She swallow the goat to catch the dog. Which is the first day of the week: Sunday or Monday? In English the days of the week are Sunday, Monday, Tuesday, Wednesday, Thursday, Friday and Saturday. Most business and social calendars in America and Canada mark Sunday as the first day of the week, though in the United Kingdom, Australia, and South Africa, Monday is considered the first day of the week and Sunday the seventh day. On Mondays, I never go to work. On Tuesdays, I stay at home. On Wednesdays, I never feel inclined. So on Sundays I played best. 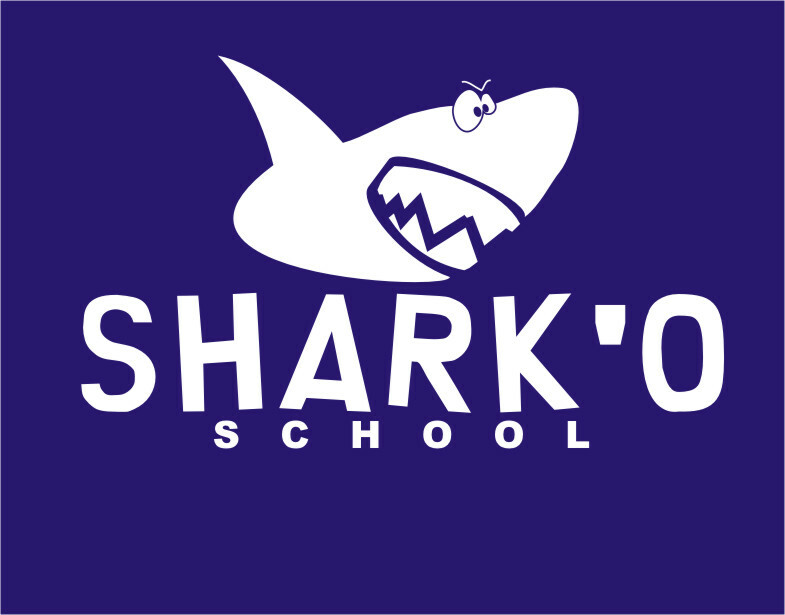 Abierto el plazo de matrícula para los "Sharkies"
Desde hoy, 22 de abril y hasta el próximo 15 de mayo, queda abierto el plazo de matrícula para aquellos de los alumnos que estando matriculados este año en la academia, quieran continuar en ella el próximo curso. Los nuevos alumnos que quieran ingresar en la academia podrán realizar la matrícula desde el 15 de mayo hasta mediados de septiembre. El número de plazas por curso es limitado y los alumnos serán admitidos por riguroso orden de matriculación. In the main sentence, an imperative can be used instead of a present. One way or another I'm gonna make you remember how to say "manera" in English. Yeah! I'll do it. El pobre Sharkito ha estado muy ocupado últimamente en la academia y os pide disculpas. Tras surfear en la web os trae este video de la BBC sobre la familia y promete que procurará renovar el blog con más frecuencia.